Game recaps, Mikko Koivu suffers a season-ending injury, Devils trade Brian Boyle to Nashville, and more in today’s NHL morning coffee headlines. NHL.COM: The Toronto Maple Leafs blew a 4-2 lead but Morgan Rielly’s third-period goal gave them a 5-4 win over the Ottawa Senators. Magnus Paajarvi scored twice for the Senators. During the game, CBC’s long-time play-by-play man Bob Cole was given a standing ovation as he called his final Leafs game. The New York Rangers edged the Boston Bruins 4-3 on a shootout goal by Tony DeAngelo. SPORTSNET: Speak of the Senators, team owner Eugene Melnyk vows his club will spend close to the salary cap from 2021 to 2025 once the club’s current rebuild is completed. “The Senators will be all-in again for a five-year run of unparalleled success – where the team will plan to spend close to the NHL’s salary cap every year from 2021 to 2025,” according to a statement released by the club. SPECTOR’S NOTE: Remains to be seen if Senators fans will buy into Melnyk’s vision. They’ve been disappointed by the club’s direction in recent years and unhappy with Melnyk’s ownership of the Sens. The Minnesota Wild yesterday announced captain Mikko Koivu is expected to undergo season-ending surgery Friday on his right knee. SPECTOR’S NOTE: Koivu’s absence leaves a big hole at the second-line center position that could prove difficult to fill. It will affect their efforts to hang onto a playoff spot in the Western Conference. THE TENNESSEAN: The Nashville Predators made two trades yesterday. The first saw them acquire forward Brian Boyle from the New Jersey Devils in exchange for a second-round pick in the 2019 NHL Draft. They also reacquired forward Cody McLeod from the New York Rangers in exchange for a seventh-round selection in the 2020 draft. SPECTOR’S NOTE: With Austin Watson sidelined indefinitely while undergoing treatment for alcohol addiction and Zac Rinaldo undergoing season-ending shoulder surgery the Predators had a need for more size and grit on their checking lines. Boyle and McLeod should address those issues. Boyle also brings in additional leadership and playoff experience plus he also has a decent scoring touch, with 13 goals in 47 games this season. TRIBLIVE.COM: Pittsburgh Penguins goaltender Matt Murray is questionable for the club’s upcoming three-game road trip after suffering an upper-body injury. Head coach Mike Sullivan said it’s not a concussion and Murray will travel with the team. 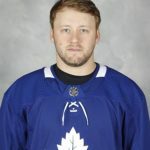 Goalie Tristan Jarry has been recalled on an emergency basis. WINNIPEG SUN: Jets defenseman Dustin Byfuglien returns to action tonight against the Montreal Canadiens after missing 15 games with a foot injury. Blueliner Josh Morrissey is questionable after blocking a shot during Tuesday’s overtime loss against San Jose. THE SCORE: Edmonton Oilers goaltender Cam Talbot apologized to his teammates for remaining in the dressing room after being pulled in the third period of their 6-2 loss to the Chicago Blackhawks on Tuesday. CSNPHILLY.COM: The Philadelphia Flyers placed forward Jori Lehtera on waivers. He’s expected to clear and be sent to their AHL affiliate. Former NHL stars Mike Modano, Miroslav Satan, and Ziggy Palffy are among the eight members of the International Ice Hockey Federations’ Hall of Fame Class of 2019. THE PROVINCE: Former Vancouver Canucks forward and captain Andre Boudrias has passed away at age 75. He spent 12 seasons in the NHL from 1963-64 to 1975-76 with the Canucks, Montreal Canadiens, Minnesota North Stars, Chicago Blackhawks, and St. Louis Blues. His most successful period was with the Canucks, with five straight seasons of 61-plus points. He was also an assistant general manager with the Montreal Canadiens and was part of their Stanley Cup championship teams in 1986 and 1993. SPECTOR’S NOTE: My condolences to Boudrias’ family, friends, and former teammates and associates. He was the Canucks first scoring star, netting a career-best 78 points in 1974-75 and leading them to their first playoff appearance in 1975. He also spent two seasons in the WHA, helping the Quebec Nordiques win the Avco World Trophy in 1977. Bob Cole will always be hockey’s greatest voice. I noticed that in between periods of the Rangers-Bruins game last night that NBC had Kathryn Tappen, rather than Pierre McGuire, interview the female USA hockey player. Smart move NBC! How about Mcquaid and Krieder? BTW …. apparently 2C tonight (as it stands right now) will be 42 Yr old Cullen…… ahhhhhhhh!!! I know he stated in the past his desire to return to NHL on a California team …. basically that will only be SJ this year , and are they realistically looking to add him??? Sullivan’s loyalty to veterans this year is the polar opposite of what earned him success the 2 cup years when he played and trusted young and hungry players. I realize he has a lot of respect for Cullen but Cullen is killing this team and it’s going to show in a big way as a 2C playing 20+ mins. It completely neutralizes Kessel as a threat at ES. Cullen has the third lowest CF% of any forward in the league this year that has played 200 mins or more. Jack Johnson is going to be more brutal for poor Dumoulin to have to carry around than Ron Hainsy was. I don’t understand how anyone with eyes can see that Hack is killing this team and yet the guys who are paid to see just that turn a blind eye to it? How arrogant do you have to be to not be able to admit you made a huge blunder signing this guy and ship his a$$ to WBS? If not for his no trade clause they should just ship him out anywhere with whatever it takes to get rid of him. Joe, good assessment of Boston. They are focusing on getting a goal scorer for second line but they’ll need at least one shut down defenseman. I thought McQuaid was a good 5/6 d….as a Leafs fan Boston makes me nervous but they are well coached, they’ve got great work ethic and Bergeron is one of the best two way forwards I’ve ever seen. Joe, we debated yesterday as well. IMO opinion the Bruins do not need a shutdown D man. The Bruins can keep the puck out of their won net with the best of them. They are 3rd in the entire NHL in goals against. They have a quality NHL D Man in the press box every night now that they are healthy. They are scoring enough to make the playoffs (middle of the pack in offence) because they are stingy defensively at the same time. IF they want to contend they need more goals and more skill up front. They generate plenty of shots, but not enough go into the net. More quality chances and better finish. Pretty simple if you look at the numbers, which you seem to disagree with. But hey, you should never let hard data and factual evidence get in the way of making a good decision! Boston NEEDS their D to stay healthy, through the playoffs. They NEED a more balanced attack offensively, after the 1st line= not much there. Bob Cole is one of the great play by play guy. His DEE-TROOOIT, was one of my favorites. Wish him the best for the future.